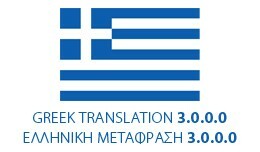 Full Greek Translation for Opencart 3.0.0.0 Installation instructions included with email support. Πλήρης Ελληνική Μετάφραση για το Opencart 3.0.0.0 Οδηγίες εγκατάστασης συμπεριλα�..
**Also known as; Bahasa Malaysia / Bahasa Melayu / Malay / BM 1. 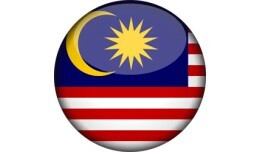 Complete Bahasa Malaysia translation for Opencart system. 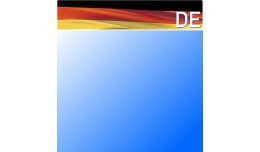 This is a language pack for user in Malaysia. This translation using proper grammar makes it easy for any of your Mal.. 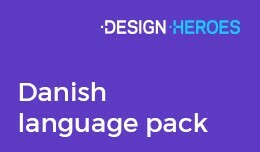 Complete danish language pack for opencart 2.0 - 2.2 Front & Backend English: Both the front & backend of the shop (including the standard opencart modules) has been 100% translated to danish. 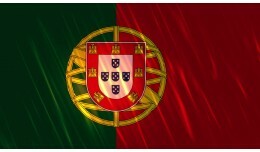 We will continue to update the language pack ..
Linguagem Portugues Portugal para opencart 2.2 Baixar o ficheiro e enviar para a rais do site a pasta admin e catalog Codificação: Unicode (UTF-8) Instalação: 1. 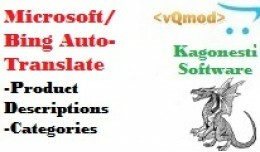 Configuração Abrir o seu opencart no modo administrativo (..
Microsoft Azure Marketplace (Bing) Translator Auto-Language Translation Extension for Opencart 2.x ** UPDATED FOR NEW 2017 API ** By: Kagonesti WHY I wrote this module: - I wanted a free API to translate my opencart product descriptions ..
-Traducción ó galego compatible coas versións superiores a 2.0 de OpenCart (tanto da parte pública como da parte administrativa) Unha traducción realizada polos membros de MuneraTibi pra Tienda Opencart na que se amosan tódalas posiblid..
La extensión contiene los archivos para que pueda configurar su instalación de OpenCart en idioma español neutro - latinoamericano versiones 2.3.0.2 2.2.0.0 2.1.0.2 2.1.0.1 2.0.3.1, tanto en la tienda (catalog) como en el área administrativa..
OpenCart Español Neutro - Latinoamericano 2.2.0..
OpenCart komplettes deutsches Sprachpaket für den Kunden-, Affiliate- und Administrationsbereich. 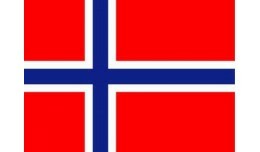 Inklusive Datenbankupdate* zur Aktualisierung der Datenbank-Sprachkonstanten und umfangreicher Schritt-für-Schritt Installationsanleitung in Deut..
Български превод на админ панела за версия 1.5.2 / 1.5.2.1 / 1.5.3 / 1.5.3.1 / 1.5.4 Превода е направен от www.elenkov.net Начин на импелемтиране: 1: Необходи�..
Hebrew Translation + RTL for Opencart FRONT Store+ Store Admin Include hebrew instructions inside. Personal help include . Fast, Reliable and Perfect Hebrew solution. ממשק קדמי עבור הקונים + ממשק ניהול למנה..
עברית , Hebrew Full Translation (Front+Admi..
Hebrew Translation + RTL, for Opencart FRONT Store Include hebrew instractions inside. include Personal help. Fast, Reliable and Perfect Hebrew solution. suit for opencart default theme and\or new Theme NEW: Opencart 2016 versions. 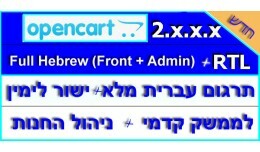 si..
Hebrew Front Store RTL 2.2.x.x עברית מיו..
Hebrew RTL for Opencart FRONT SHOP Include hebrew instractions inside. Personal help include . Fast, Reliable and Perfect Hebrew solution. ממשק קדמי לחנות בעברית , עבור גרסות 2 ומעלה. 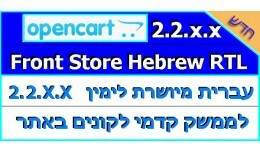 הממשק בעבר..
Hebrew Front Store RTL 2.1/2.0 עברית מיו..
Hebrew Translation + RTL for Opencart FRONT Store+ Store Admin Include hebrew instructions inside. Personal help include . Fast, Reliable and Perfect Hebrew solution. ## The Interface is costomized for males and females ## ממשק קד�..
Hebrew Translation + RTL for Opencart FRONT Store+ Store Admin Include hebrew instructions inside. Personal help include . Fast, Reliable and Perfect Hebrew solution. ממשק קדמי עבור הקונים + ממשק ניהול למנה�..
Hebrew Translation + RTL, for Opencart FRONT Store Include hebrew instractions inside. include Personal help. Fast, Reliable and Perfect Hebrew solution. suit for opencart default theme and\or new Theme NEW: Opencart 2016 versions. 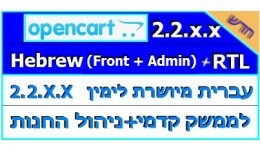 sim..
Hebrew Front Store RTL 2.3.x.x עברית מיו..
Full hebrew for opencart's admin panel and store's frontend. We did not use any kinds of translators, did it manually file by file and took us about two weeks so you can rest assure it's the real deal! Thanks for supporting us! חבילת..